As reported by this blog and many others on the Internet and Alternative Media, we are moving precariously closer to war with Pakistan who has recently further cemented it’s ties with China. In May, China warned the United States that any attack on Pakistan is an attack on China. An while the Bought and Paid For Media will not cover these developments, the US GOV is actively engaged in proxy warfare with Pakistan. The stakes got higher on July 10, 2011, when U.S. White House Chief of Staff Bill Daley announced that the U.S. will suspend approximately $800 million in aid to Pakistan’s military, a significant development highlighting the rapidly eroding situation in Pakistan. In response, on July 12, the Chinese foreign ministry spokesman Hong Lei, while talking to reporters in Beijing, pledged China’s support to Pakistan in the wake of the U.S. military aid cut, stating: “Pakistan is an important country in South Asia. The stability and development of Pakistan is closely connected with the peace and stability of South Asia… China has always provided assistance to Pakistan,helping it improve people’s livelihood and realize the sustainable development of its economy and society. China will continue to do so in the future.”[Source – www.tribune.com.pk (Pakistan), July 12, 2011]. Pakistani Defense Minister Chaudhry Ahmed Mukhtar threatened to pull back Pakistani troops from nearly 1,100 security check-posts along the Pakistan-Afghan border, noting that about $300 million of the U.S. military aid is used to go to troops engaged in a counter-terrorism offensive in the border region. “In response to Pakistan’s attempts to reverse the carte blanche given by it to the Americans during the Musharraf regime, the U.S. has withheld over a third of the military aid – $800 million – to Pakistan this year. In principle, it is perfectly within the realm of propriety for Pakistan to roll back undue U.S. influence in the country, but how to do it is a question of debate. Things had been souring between the U.S. and Pakistan over some time, which became manifest in the Raymond Davis case. “Moreover, Pakistan’s military and the ISI have been looking to fulfill their plan for the Afghan endgame to insert the Taliban in power after the U.S. withdrawal. Although the U.S. is engaging with the Taliban for a negotiated political settlement, it has completely bypassed Pakistan. This also became a point of friction. All these things have been accumulating and the crowning feather of the Pak-U.S. rift was the Abbottabad incident [the killing of Osama bin Laden on May 2]. When Pakistan faced embarrassment both domestically and internationally following the Abbottabad raid, in a fit of nationalism, the military accelerated the process of cutting back ties with the U.S. – it sent back American military trainers; the number of visas issued to the U.S. personnel was reduced; and intelligence sharing stopped altogether. Inside of Pakistan (as well as world wide, Hizb ut Tahrir is working towards the world wide establishment of the Khalifah (Caliphate). Hizb ut-Tahrir claims it has emerged as the single largest Islamic political party in the world. In a letter post on their website, Hizb ut Tahrir encourages Pakistani’s to overthrow the Pakistani government who support America, a relationship which now is unraveling quickly. The letter also states that America’s defeat in the ‘Graveyard of Empires’ (meaning Afghanistan) would spell the end of her capitalist empire. Throughout the letter, the Hizb ut-Tahrir appeal to the Military officers concerning the condition of Pakistan under the boot of American military operations, employing them to take action. We know according to various intelligence sources that the Pakistani military and the ISI have been infiltrated by Islamists and many within those organizations are sympathic to the Jihadist cause. Establish the Khilafah, even though Pakistan’s traitor rulers hate it O officers of Pakistan’s armed forces! You are leading the largest and most capable Muslim armed forces in the world. The Muslim armed forces alone have the material strength to establish the Khilafah. See Hizb ut Tahrir’s video proclamation against the American occupation of Pakistan and the Pakistani rulers that support them. Though unknown to most people, the Taliban is primarily made up of the Pashtun (aka the Pathans) Tribe, known for their hard-fighting almost legendary warriors. The Pashtun, who date back at least to the third century BC, have been immortalized in song, story and poem and grudgingly acknowledged as forces to be reckoned with by none other than Winston Churchill. The British suffered a shocking defeat to Pashtuns in the 18th century. There have been a number of reports about their “reckless bravery” in the face of Soviet and NATO forces. The Soviet Union left after a futile 10-year battle to control Afghanistan. Many historians have called the Pashtun the world’s only unconquered tribe. The Pashtuns halted the Horde of Genghis Khan at Pakistan’s Khyber Pass which they have guarded for 2000 years. In the late eighties Pakistan assisted Pashtun tribes in attempting to overthrow the Soviet influenced Afghanistan Government. A group of religious Pashtun scholars and Pashtun mujahideen fighters were organized and formed the Taliban. After the war ended various factions fought each other for power and none were able to gain control over the entire country. Global Security.Org notes that,”… the insurgency in Afghanistan has been raised by residents of Pakistan, some of whom are refugees from Afghanistan, others of whom are Pakistanis. It does not arise from opposition among large elements of the Afghan population toward their government. This is a Pashtun insurgency. The insurgency is organized, funded, trained and directed from Pakistan, where most Pashtuns live, and where most Pashtuns have always lived. Pashtuns are always described in larger-than-life terms. They are fierce warriors yet very hospitable. Their tribal code, called Puchtunwali, has been equally romanticized. Its tenets to uphold rule and honor involve protecting to the death anyone who seeks refuge with you. After the September 11, 2001 attacks the U.S. demanded that the Taliban handover Bin Laden. The Taliban we would not betray a “friend” to the Afghanistan people because it would betray the sacrifices during the Afghan-Soviet War. The Taliban didn’t give Osama Bin Laden up because they are Pashtuns and because of their codes of honor and sanctuary prevented such a betrayal. 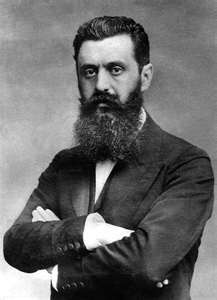 Simcha Jacobovici, a Canadian film director, producer, free-lance journalist, and writer who hosts the TV program The Naked Archeologist, produced a important documentary called the Quest for the Lost Tribes of Israel (10 parts). In it he travel through out the Middle and Far East and discovered remnants of the Lost 10 Tribes of Israel who were exiled from the Land of Israel over 2800 years ago. One of the people groups he investigated was the Pashtuns who demonstrated very obvious Israelite names and customs. The Pathans claim descent from Afghana, grandson of King Saul of Israel. Though they appear as Muslims, when studying the Koran they rock their bodies like Jews, something most Muslims do not do. When there arise a conflict between Islamic Law and Puchtunwali, then Puchtunwali has more authority in the eyes of the Pathans. They also practice the ancient biblical law of the cities of refuge, where those accused of manslaughter may flee from the avenger, the eight day circumcision of their sons and much more. They also claim to be Bani Israel (Israelites) and call them selves Musakhel – of the People of Moshe. The Pathans have 11 tribal groups and their names reflect their connection to the people of Israel – The Tribe of Rabani (Rueben), the tribe of Levani (Levi), the tribe of Shimwari (Shimon), the small tribe of Gadun (Gad). The most numerous of all the tribes is Efriti (Ephraim). Simcha points out that there is also a sub tribe call Waziri, who wears their hair long much like the biblical Naziri (Nazarites). Afghanistan has special significance to the world of militant Islam. It was once called Khurasan (meaning the Land of the Rising Sun), along with parts of Iran and Pakistan. 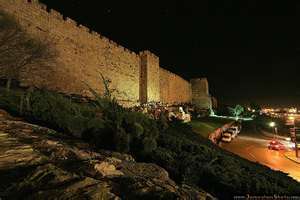 As was noted in a previous blog, Khurusan is also the biblical Land of Magog, from where a large army marches to the Land of Israel for a final showdown in the Last Days. This Army of Black Flags is the army of the Al- Mahdi, the Islamic deliverer. Khorusan is the area that is primarily controlled by the Pathans (Pashtuns) or their allies. According to Ahadith the main signs identifying (the majority of) the Muslim forces of Imam Mahdi are the following. 7. Their Leader Imam Mahdi will be wearing QUTWANI CLOAKS. Qutwani Cloak has fringes like the Tallit that Jews wear for prayer. Both Qutwani cloak and TALLIT have fringes (tzitzit) on borders and its mostly made of Wool. It generally falls across the head, neck, and shoulders. However the Qutwani cloak is larger and more conspicuous prayer shawl than the Tallit. 8. They will be Tortured, expelled from homes. Now which ethnic group among the Muslims has all these signs? The Pathans living in Afghanistan and Pakistan have all these signs because they live in the East, they are the only people among Muslims considered to be among the lost tribes of Israel. The Pathans are not Arabs, they live in the region of ancient Khorasan, they belong to very poor nation, they are considered to be a fierce Warrior Race , and they are from a place with cold climate. US and Nato forces have waged a long protracted war on the Pathans and have tortured those who were captured. They themselves acknowledge their Israelite history and do not consider themselves to be strictly Muslim. 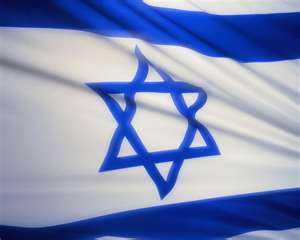 The biblical prophecies call for a return of all the lost and scattered people groups of Israel. How the Pathans play into this prophetic scenario remains to be seen, though at least one biblical historian, Dr John Mock, believes that they are God’ Battle Axe, possibly an apt description of the returned 10 tribes in the Book of Zechariah. With the spiraling political situation in Pakistan and the recent developments with China, it is quite possible that the Khalifah could be re-established in Pakistan (and then worldwide) with the Army of the Black Flags emerging in the near future to take their place in the the real life biblical drama that will bring them home to the Land of Israel. This scenario appears to be consistent with all three Abrahamic Faiths and supported by their religious texts. It remains to be seen if whether that family reunion between the 10 tribes and the House of Judah will be one of rejoicing or one of war, but rest assured the unfolding of these future events will be met with awe and trepidation alike. 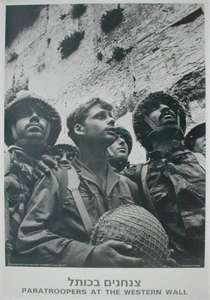 In 1967, after almost 2000 years, the Jewish people regained sovereignty and control over Jerusalem. 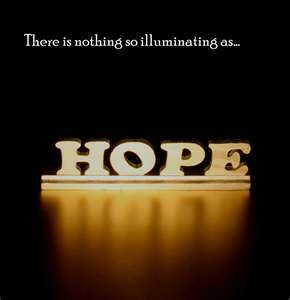 The hope and dream of the Jewish nation was realized during the Six Day War, a war every military commander acknowledges as a outright miracle. One only need to stand at the Kotel to feel the presence of HaShem. 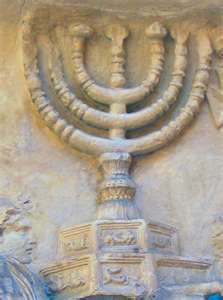 There all Jews are welcome to pray as one people united by an ancient symbol that is the epitome of truth, righteousness and brotherhood. At the Kotel, the echo of an ancient dream, is heard in the prayers spoken here. Jerusalem can never be a divided capital, lest our ancient dream be abandoned. 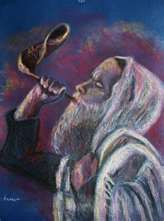 During our long exile we cried to return to Zion, the resting place of the Glory of HaShem and the capital of the unified 12 tribed kingdom of God. The Jewish people endured long and harsh exile, pogroms, persecution and hatred without cause so that one day they could be returned to the land of our fathers and Jerusalem the Abode of HaShem’s divine Presence. With the events of the last few weeks focusing upon Prime Minister Netanyahu’s visit to the US and his historic speech to the United States Congress, few people know about the build-up in tensions between Pakistan and the US. China has given the USA and ultimatum which has send tremors rippling through the political climate of Central Asia and the West. It appears Pakistan is enlisting the aid of China to guard itself against the US/India alliance. Pakistan is concerned that the US is preparing for the possibility of taking control of their nuclear forces. In 2010, international media reports revealed that more than 11,000 Chinese troops have been stationed in Gilgit Baltistan, an ethnically different region in Pakistan that had traditionally been part of Jammu & Kashmir. Chinese military engineers have previously helped Pakistan, but this time the Chinese soldiers are building concrete residential houses and are opening branches of Chinese banks. In 2011, it was revealed that the presence of the Chinese troops is not limited within Gilgit Baltistan but they have moved into Pakistani Kashmir along India. In May 2011, Indian intelligence agencies reported that they have “credible evidence” that Chinese troops are also based in the Pakistani side of Jammu & Kashmir, which is divided by the Line of Control (LoC) between Pakistan and India. 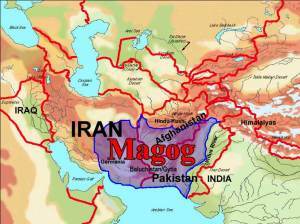 Is There a Link Between China and the Gog Magog War(s)? In the Tanakh, China is called – Sin. It’s gematria is 120 (not using the sofit form of the Nun). China has a long standing relationship with the Islamic Republic of Iran. China has been helping them since the 1980’s with their nuclear program under the supposed umbrella of peaceful usage. Iran’s president, Ahmadinejad also has a gematria value of 120. In Gematria Ketana, the zero is dropped making it the value of 12, which is the gematria of GOG. 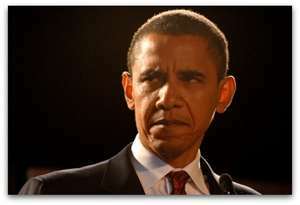 In Daniel 7:25 it states that an evil leader (Armelius) will arise to harass and dominate Israel for a time, times and half a times or 3 1/2 years (US President Obama is a good candidate). The word time in the last day prophecy is and also equals 120 (12). Great Wall of China as Al-Magog. Magog in Cantonese is used to refer to America oddly enough. Some identify Magog with Kermania (Germania). Rabbi Yehi’el Tzvi Hirshenzon זצ”ל,book named “Seven Wisdoms” (1883, שבע חוכמות), states that Magog or the land of Kermania is south east of Babylon, and you can find it in the map of the Greek Rulers, in the south of Kermania Desert to the east of the tongue of the Persian Sea. One must not confuse the Persian Germania with the European Germania that the Talmud refers to as Edom’s Germania. So the land that our Sages called “Germania is Persian land in the area of the Persian Gulf, that swallows an area called “Baludshistan”, and that land is bordering in the east with the Indus River, and in the north with the Himalayas. 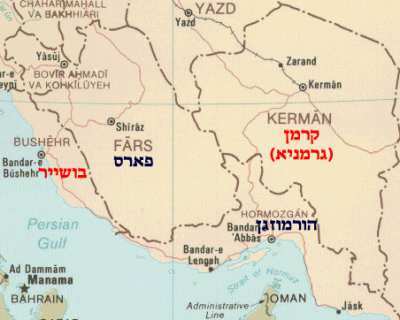 In today’s Iran there is a big province called Kerman, with population of over two million people. The capital of the province is also called by this name, and today more than 400,000 people live there. This province, Kerman, that was probably the original land of Magog, includes many archaeological cities, that their timings matches more or less the period of the end of The Biblical Flood. The region named Baluchistan is actually divided today between three countries: Iran, Pakistan and Afghanistan. In western Pakistan there’s also a province names Baluchistan, next to the Iranian Baluchistan. For more information on this intriguing subject see HaShem 1.net who brings many more historical facts to the discussion and is a great find. China has now aligned itself with Gog and has put boots on the ground in Kashmir and Pakistan. This situation could become extremely tense very quickly. Another player in this prophetic scheme, from an Islamic perspective is the Army of the Black Flags coming from Khorusan (Iran, Afghanistan, Pakistan) in the hands of the Pashtuns who call themselves Bani Israel and may very well be remnants of the 10 Tribes.